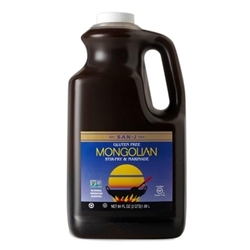 San-J Mongolian Sauce is an easy way to make restaurant quality Mongolian Beef in the comfort of your own home. 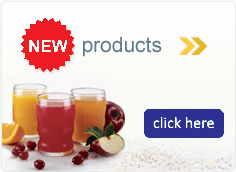 It's a delicious blend of sweet and savory that marinades well with chicken, shrimp, beef or even tofu. Made from Tamari Soy sauce with 100% soybeans and no wheat. Ingredients: Organic Sugar, Tamari Soy Sauce (Water, Soybeans, Salt, Alcohol), Sake (Water, Rice, Salt), Water, Rice Vinegar, Garlic Puree, Garlic Powder, Arrowroot, Ginger Puree, Apple Cider Vinegar.